This second edition in the workshop series will build on the achievements of the first workshop held as part of the 2017 VTC in Toronto and will be focusing on experimental testbeds on 5G and Beyond. This workshop will take place, as part of the VTC 2018 Spring, on Sunday June, 3rd 2018 in Porto. Click here for more information on the ORBIT Testbed. To request an account, click here. Select "IEEE" as the Organization. This wiki provides an overview of existing toolkits, and (federated) testbeds in the area of Software Defined Network (SDN), Network Function Virtualization (NFV), and Mobile Edge Computing which can be used for building prototypes boosting the development of the 5th Generation of Mobile Networks. In particular, each section provides a brief overview about the standardization and standard de-facto activities currently ongoing, what is the main reference architecture, and which tools can be used for implementing a comprehensive solution. 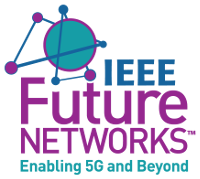 All of this is supported by the IEEE SDN Initiative Outreach group, led by Fraunhofer FOKUS, Technical University of Berlin, and University of Campinas. Individual presentations are available to view here.